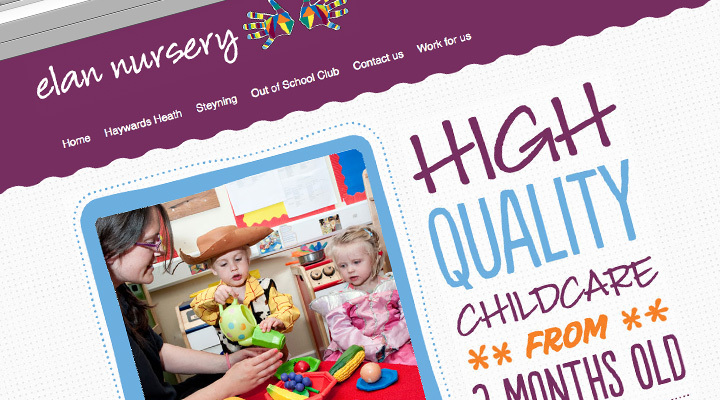 Elan Nursery is a successful day nursery running sites in Haywards Heath and Steyning. Their latest Ofsted report marked them outstanding in all areas. I have been working with Clare at Elan since she set up around 10 years ago and have helped with all design, print and digital requirements. Projects have included logo design and branding, promotional literature (including booklets, leaflets and flyers), stationery, website design and maintenance, external banners and signage and press ads. 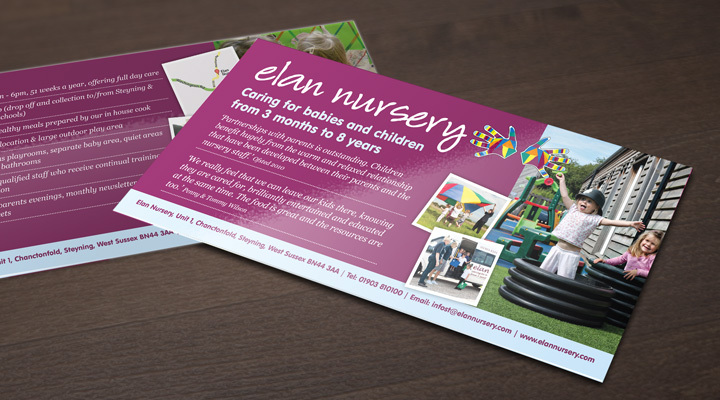 Elan Nursery has grown over the years proving to be a very successful company and Clare now runs two sites. With each project Nick has shown an understanding of what I want to achieve whilst incorporating his own creative design and technical expertise.